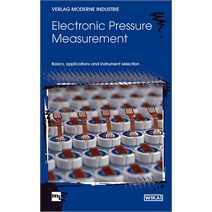 In the renowned technical book series of the publisher “Verlag Moderne Idustrie” a volume about electronic pressure measurement has been released with the technical support of WIKA. The authors are Eugen Gaßmann and Anna Gries. The book series from Süddeutscher Verlag onpact/Verlag Moderne Industrie has striven over the past 20 years to communicate, in a compact way, basic technical principles in conjunction with the know-how of leading companies.The new title, "Electronic Pressure Measurement", is already their 323rd volume. 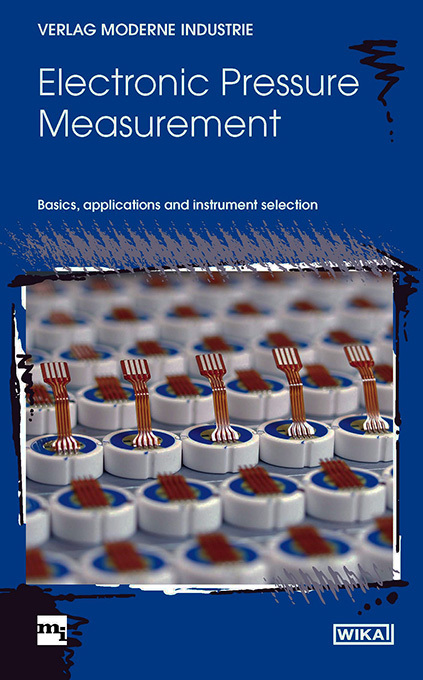 Eugen Gaßmann, Head of Product Management in WIKA's TRONIC company division, and his colleague Anna Gries give a comprehensive overview of basic principles, instruments and typical applications in electronic pressure measurement technology, before they offer a detailed set of criteria for the practical selection of instruments. The colour-illustrated, 72-page hardback book is available from specialist shops as well as directly from WIKA.